Traditional subsistence pastoralists in East Africa tend to keep large herds, milk cattle in preference to eating them, and subject them to long foraging treks. Such practices are widely considered ill-suited to arid lands and are believed to arise because cattle are raised more for social prestige than food production. Whether this is true can only be judged by considering the responses of cattle to arid zones and, given the herder's goals and options, his management practices. In considering these factors, we show that indigenous East African cattle demonstrate energy-sparing capabilities during drought. Pastoralists can therefore herd cattle at great distances from water at little more cost than animals on the normal maintenance diet and watered more frequently. 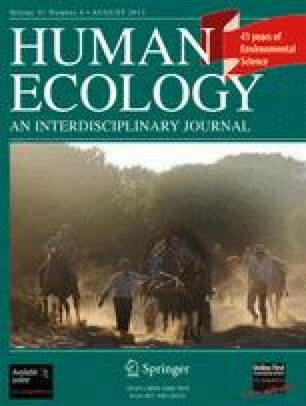 The physiological response of cattle to drought, the ecological constraints imposed by livestock and wildlife competition, and the energetic efficiency of mixed milk and meat pastoralism explain why herders traditionally select their characteristic management practices.